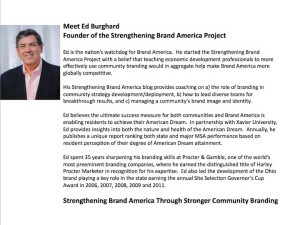 In addition to speaking with mid-large communities, his work in Ohio’s Appalachia Region has also made him a popular speaker with economic development organizations that serve rural communities. If you want to contract Ed for a non-standard engagement, a customized cost estimate can be prepared. 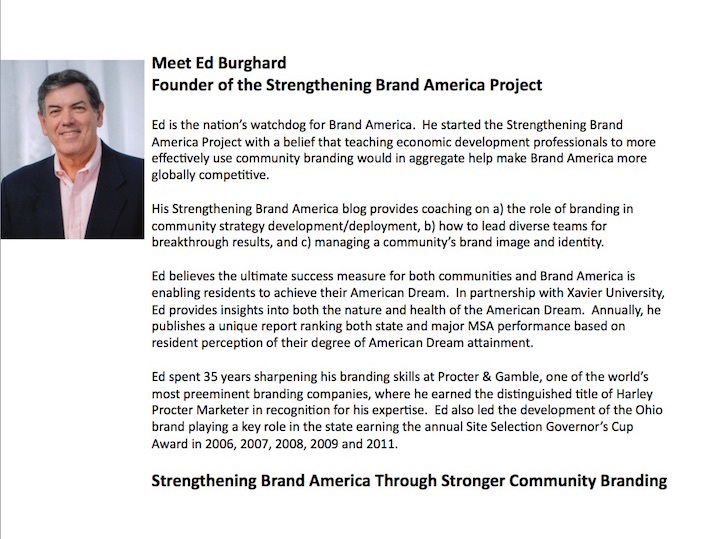 The best way to reach Ed is by email (eburghard@mac.com). Given the choice to inform or inspire, always choose inspire.